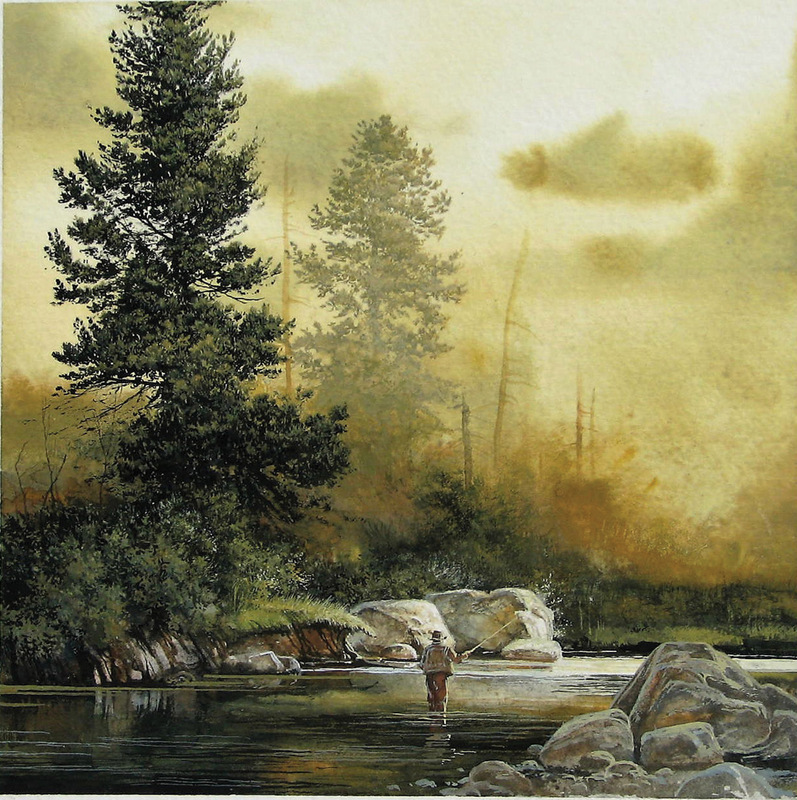 For watercolorist Jeffrey Craven, the river isn’t just a place to paint, it’s a place of deep reflection. The success of Craven’s watercolors can be credited with his ability to convey that feeling in his work. Craven’s use of color and light, combined with an innate knowledge of the river, transports the viewer. He usually paints with a particular place in mind, but not directly transposing everything from the scene into the painting. The beauty of watercolors has to do with the way the pigment reacts to the paper. Sometimes it can be subtle, sometimes tender. For Craven, it’s the perfect medium to express the kind of things he wants to say. Curtis Tierney, of Tierney Fine Art, represented Craven for seven years until Tierney sold his gallery. 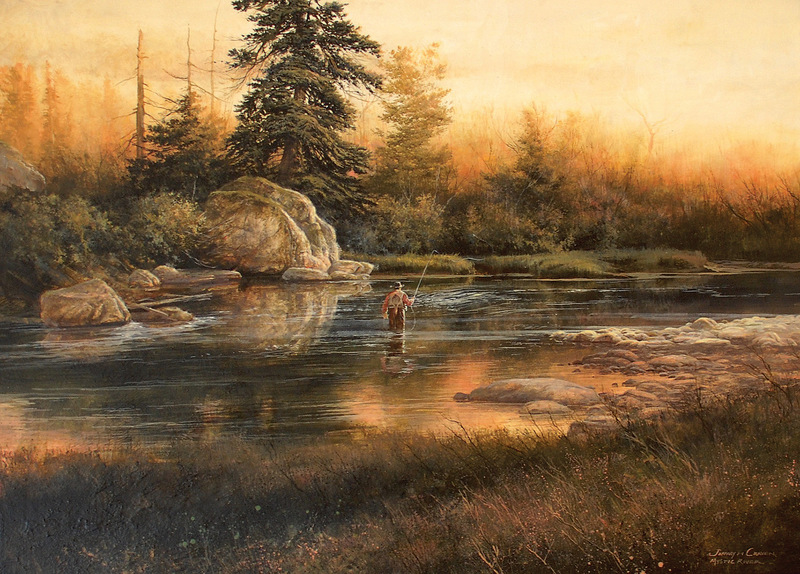 Tierney, now a private dealer selling period American and Western paintings, saw something in Craven’s paintings that he knew would translate to a wide audience, especially those who understood the essence of fly fishing. 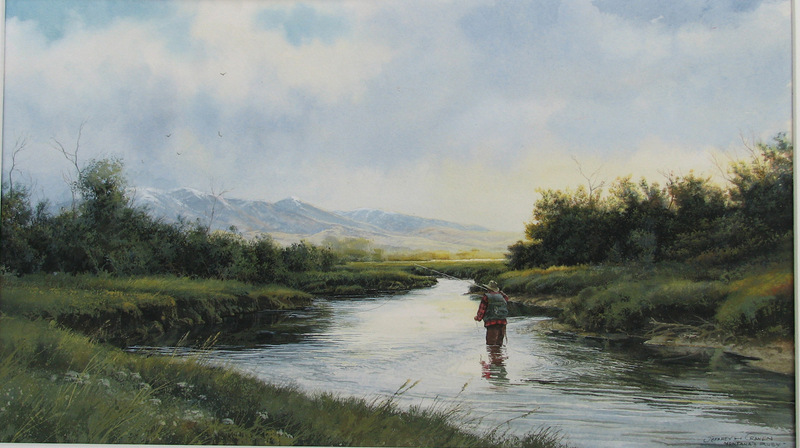 This says a lot for an artist who taught himself how to paint sitting at his grandparents’ kitchen table in Idaho’s Swan Valley, along the South Fork of the Snake River. 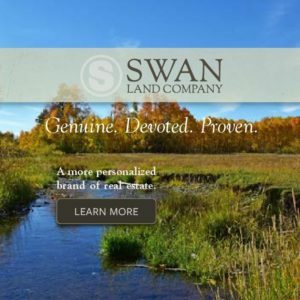 The types of scenes Craven is attracted to are of a single person in the river, fly rod in hand, riffles barely discernable, and trees lush against a brightening sky. Craven has had three one-man shows on Madison Avenue in New York City. He’s always surprised when people in a big city want his paintings on their walls. Even the younger art collectors find something that touches them in Craven’s work. He thinks that they’re looking for what’s been lost in the expansion of urban development. The vividly portrayed details, set within the gentle rendering of a specific area, are the key to Craven’s work. 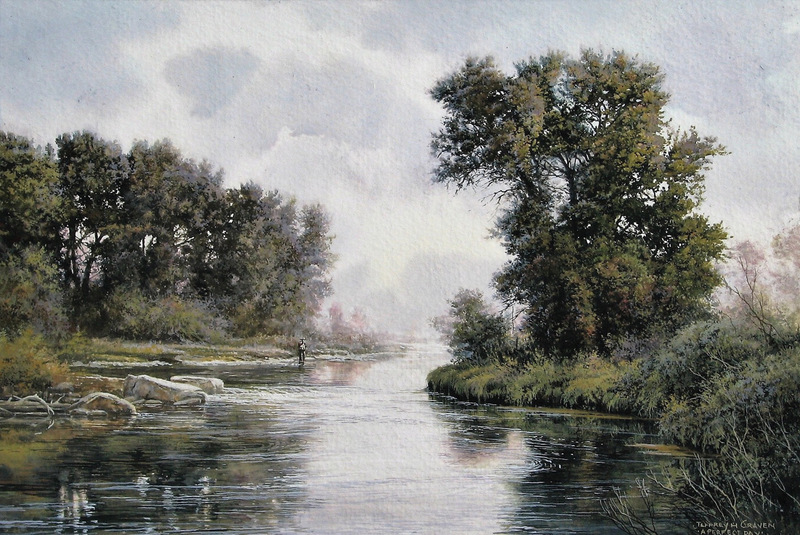 With each painting he sends to the gallery, he includes a story about the day and his time on the river, the experiences that influenced the piece.